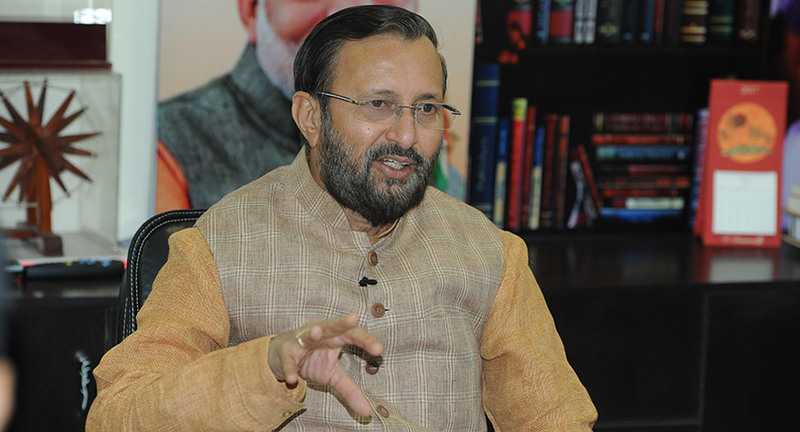 Union HRD Minister, Prakash Javadekar, in an exclusive interview with BW Businessworld’s Suman K Jha and Sreerupa Sil, answers a range of questions and says that his priority is to improve education in government schools. He also categorically states that research seats at JNU are not being slashed, as is being widely speculated. They, in fact, will go up. Can you tell us a bit more about the NIRF rankings? The National Institute Ranking Framework is an effort towards improving the quality. We have taken series of measures in higher education, one is the NIRF, second is the complete autonomy to the IIMs. We are also looking to expand the educational facility by the Higher Education Financing Agency. We are infusing nearly 3 billion dollar into educational research and infrastructure in the next 3-4 years. We are also putting up the new National Academic Depository. We are improving the quality by bringing in more research, more quality, more innovations and more scholarships. NIRF is a certification of their rankings in the national institutes; we have nearly 844 universities, we have 38,000 colleges, we have more than 200 institutes of national importance, all these put together, we are planning to rank them. The results will be on the basics of their academics, research, teaching outcomes, peer reviews, all of them put together, we rank them. I will tell you why JNU has stood out. The news coverage (of the controversies) is not the cause. 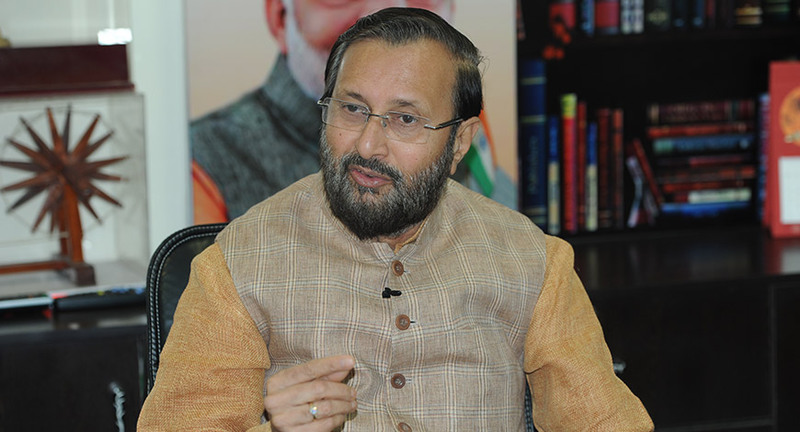 The real cause of ranking is the excellent results in research in many fields that is conducted in JNU as well as their overall academic performance. It’s not only about social sciences. JNU is much more than one or two departments. The President recently said that we should celebrate dissent in universities. Do you think for this government, this is one issue that needs to be seriously looked at? It is not a university that is dissenting. There are 7000 students, if 700 students are doing something -- that is not the entire university’s statement. There is always a place for dissent, but dissent doesn’t allow disintegration of the county. Second important thing is that the protest has to be democratic, confining the diabetic and senior professors and the vice chancellor without any notice and intimation throughout the night… Is it really justified? The way they had to sleep on the table without any mattress... that was cruel, inhuman, undemocratic protest. Even D P Tripathi opposed it. This is not the dissent the President is referring to. Are researched seats being slashed in the Universities? No, absolutely not. As far as JNU is concerned, there were aberrations going on for years together. The aberration is that, one research guide takes only 4 students or even 2 students, in some universities only 1 student. But to expand our research base we have allowed 6-8 students under one guide for Ph D guidance. Associate Professors can guide 6 students. Assistant Professor can guide 4 students. Assistant Professors are not allowed to guide Ph D students anywhere in the world, but we allowed it. But the issue is what is implemented in 843 universities, and if a university doesn’t observe it, courts struck it down as you have to observe UGC guidelines. The regulation is scientifically based for everyone. Can you believe one teacher is guiding 15-20 students in Ph D? Is it a classroom? Ph Ds are one to one -- you have to give quality time. But this is injustice to the Ph D program. So we implemented the regulations which are upheld by academic commodity, upheld by the courts and law and all the 843 universities are implementing it. One university was carrying out an aberration. We are now recruiting 300 professors and assistant professors. We are recruiting professors from SC/ST class whose seats were lying vacant for years. We are also recruiting professors from the physically challenged category. Those who talk about social justice were not recruiting from the downtrodden. So, now, interviews have gone through and within the next 2-3 months all the 300 seats will be filled and I can guarantee of the fact that there will be more research seats than last year. Now they will appoint everything. The whole power rests and the buck stops at the Board of Governors. This will be self-appointing in a way and the authority will evolve over the years. Any government interference will go. It’s for the first time that India is legislating this historical legislation where we are granting real autonomy. I feel that IIMs should not feel shy of it and they should grab this opportunity and prove their leadership and take their institutes to a new level. Will the bill be passed in this session only? I am very sure that it will pass in this session only. As a citizen of India, I would love my public schools to be the best. On the other hand there have been many steps taken by the CBSE -- one of them was discontinuing the CBSEi curriculum. A lot of students, parents who are outside of India, who used to be the part of the CBSEi curriculum have faced problems. Where are we headed with respect to the future of this? CBSE will teach the same syllabus we have here in foreign countries also. Additionally they can take up other courses simultaneously -- there is no bar. But CBSE will not have two curriculums because there were aberrations and it was not legal, therefore the system has been withdrawn. We are trying to improve the quality of all schools, CBSE has good quality but there are certain issues and we are trying to deal with it. We have received 3000 applications for CBSE form school affiliation this year. As far as government schools are concerned, we have already come out with learning outcomes. Now accountability is fixed on parents, teachers, students and organizations running the schools. We should not have a case where standard six student is unable to read standard two books. Improvement of government schooling is my priority. We want to bring back the children of the poor who are sending their children in private school only to achieve good education. I will guarantee that government schools will be better in the future. We have also mandated 10th board exams which has been received well. All these efforts will improve the schooling. This budget talks about the National Testing Agency. Can you please tell us a little about the testing agency? CBSE has 18,000 affiliated schools, instead on concentrating on improving the standards in these schools and maintaining the decorum, decency, they are now engaged in conducting examinations every month. As many as 20 examinations! There are nearly 11 million students are getting examined by CBSE. So we are now establishing a separate national testing agency, which will conduct all kinds of examinations. Even if any new entrance exam is introduced they can handle it because it will be a specialized testing agency. The program is present in various developed countries and now we are also implementing it. All engineering and medical entrance examinations will be handled by the body? This is the proposal of the AICTE council which has not been passed. A working group has been appointed on it. There are factors involved like the fate of NEET. We will first see how NEET exam works and then only we will take a call. Does the “one test, one nation”, theme works well? It is not a slogan. You have to see the practical view of each examination separately and therefore there is no slogan like it. If it ensures a complete rank and merit order, then it’s good. If it has loopholes, then it’s not a good arrangement. What will be the role of CBSE and AICTE with respect to accreditation? Accreditation is carried out under the UGC by NAAC and NBA. NAAC accredits and assesses the institutes whereas NBA accredits the academic programs. It will continue to improve every day and we want every institute to be accredited. Therefore we have asked the IITs and IIMs to become credit rating agencies like NAAC. I am very sure; soon there will be 3-4 NAAC like institutes which will do accreditation and assessment. The New Education Policy or the Draft Policy is already there. What is happening on that front? We will have a committee in place. We got delayed because we got pre-occupied with lot of things, but we will go ahead soon. A two-year democratic exercise involving feedback from all sections of the society was undertaken. Global Research Interactive Network is one agency that provides better research infrastructure, scholarships and academic guidance here in the country and also urges students to go abroad in during their programs. They can go abroad for 6-8 months in their foreign campus where they will get the best labs and guides, and he can have both the world’s experience and still he will be staying here and will do research here and the patents will become the products of India. The Left has been known for interfering in all the systems, but now the Left alleges that there is RSS interference in the universities. What do you have to say? Nobody has said anything. We have appointed so many directors all on merit and everybody has appreciated it. There has been no interference of any kind. RSS’s vision is very different, they want to build the nation, and there definite interest is education and its quality and national ethos. We as ‘swayamsevaks’ also are part of the story or narrative. Not that they interfere everyday... no one comes to my ministry and tells me what to do. What we do is on merit.